We’re delighted to be working with Lilly Hiatt for the first time – plus Boss Caine! 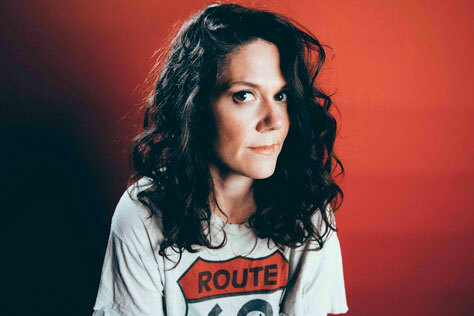 Lilly Hiatt’s love of the ‘90s alt-rock she was raised on shines through on Trinity Lane in the distressed guitars and urgent backbeats. She cites the Pixies, Breeders, Dinosaur Jr., and her favourites, Pearl Jam as influences, but there is also something distinctly Americana lurking in the songs. After moving out of an ex’s house, Hiatt settled into a new apartment off of Trinity Lane in her East Nashville neighbourhood and went on tour with friend John Moreland to the West Coast and back. Lilly Hiatt returned with Trinity Lane in August 2017. The 12-song set was produced by Michael Trent of Shovels & Rope and engineered by Andy Dixon at Trent’s Studio Bees in Johns Island, SC. In addition to her backing band, Trent is featured as a musician throughout, and is joined by his wife and Shovels & Rope partner Cary Ann Hearst for backing vocals on Everything I Had. Support comes from York’s Boss Caine. Boss Caine is the main musical vehicle of hard living, permanently gigging, story telling, troubadouring, award winning, UK singer songwriter, Daniel Lucas. He is often joined by any number of incredibly talented guest musicians. This show is a co-promotion with Please Please You.